A Philadelphia lawyer is an attorney, barred in the State of Pennsylvania who represents clients in criminal and civil actions in the city of Philadelphia. Philadelphia lawyers can practice all types of litigation. Civil Philadelphia lawyers practice for plaintiffs and defendants in areas including personal injury, contracts, real estate, landlord/tenant, wills and trusts, corporate law and many others. Philadelphia lawyers must be barred in the State of Pennsylvania, be in good standing and meet the disciplinary requirements of the Pennsylvania Bar Association. In order to be a Philadelphia lawyer an individual must pass the Pennsylvania Bar Exam. The Pennsylvania Bar Exam is a two day examination. The first day is comprised of 6 essay questions created by the Pennsylvania Bar Exam and the MPT, or Multi-State Performance Test. The MPT evaluates an applicant’s ability to analyze substantive law along with evidentiary documents and complete a memo or brief. The second day of the Pennsylvania Bar Exam is comprised of the Multi-State Bar Exam, a nationwide multiple choice examination administered by the National Bar Association. There are 3 different Courts in Philadelphia that comprise the First Judicial District of Pennsylvania. The courts are: The Court of Common Pleas, the Municipal Court and the Traffic Court. The Court of Common Pleas has 3 divisions: The Trial Division; Family Division; and the Orphan’s Court Division. The Trial division handles most felony crimes and civil cases where the amount in question is more than $10,000. The Family division handles divorce, paternity, custody, child support, domestic violence and juvenile cases. The Orphan’s Court division handles all estates, wills, and trusts. The Municipal Court has two divisions: The Criminal division and the Civil division. The criminal division hears cases that carry a penalty of 5 years in prison as well as misdemeanor charges and preliminary hearings for felony cases. The civil division hears cases where the amount in question is $10,000 or less, landlord tenant cases, real estate and real estate. Proceedings in Municipal Court do not carry with it the right to a jury trial. If you want a jury trial, cases from Municipal Court may be appealed to the Court of Common Pleas for de novo review, and a jury trial. Why do I need a Philadelphia lawyer? Depending on your case you will need a Philadelphia lawyer. Courts in the Philadelphia court system have their own rules of procedure that other lawyers, even in other parts of Pennsylvania will not be aware of. Philadelphia lawyers will be knowledgeable of the filing deadlines, rules comprising the format of complaints and pleadings, and the particular rules of a specific court. Where do I find a Philadelphia lawyer? If you want to find Philadelphia lawyers who can help you with your legal problem you can go to the Philadelphia Bar Associations lawyer referral service at www.philadelphiabar.org. From there click on the “for the public” link and then on the “lawyer referral” link to the left. At that point you will be accessing the referral service. By inputting your name, phone number, e-mail address and location. At that point a representative of the Philadelphia Bar Association will contact you with information Philadelphia lawyers who may be able to help you. The referral is free but your consultation with the referred lawyer will cost $20 for a half hour meeting. After the consultation meeting you and the attorney should discuss any arrangements. You are under no obligation to retain the Philadelphia lawyer you were referred to and the Philadelphia lawyer is not obligated to represent you. In addition you can seek a Philadelphia lawyer referral from the laws.com website. At the top of this page you will find a link that states “find a lawyer” by clicking on that you will be prompted to enter information including your name, telephone number, e-mail address, location, and description of your legal problem. Someone from laws.com will then notify you, either over the phone or through e-mail and give you referral advise on what Philadelphia lawyers in your area may be able to help you with your legal problem. What if I can’t afford a Philadelphia lawyer? 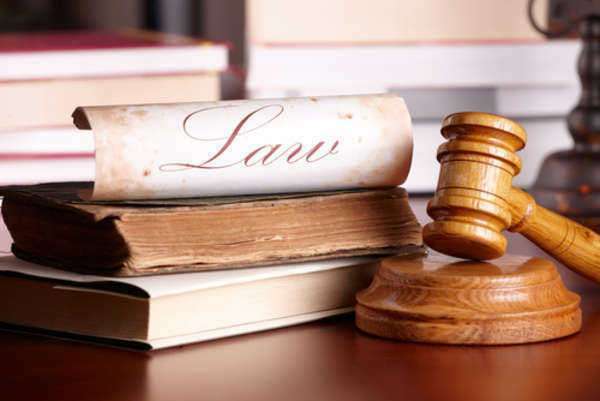 If you are in need of Philadelphia lawyers but you cannot afford representation then you may require the help of legal aide services in Philadelphia. Philadelphia lawyers are required to volunteer a number of hours per year for pro bono services. Legal aide is a resource where databases of all Philadelphia lawyers are compiled and their services are provided to those individuals in need of free legal advice. If you need legal aide services you can go to www.palegalaide.net. There you will be able to search for a legal aide provider by county or by topic. By clicking on Philadelphia County and inputting your name, address, legal problem and contact information you can find a legal aide service in Philadelphia that can help you. In order to take advantage of legal aide services an individual must have income below 125% of the national poverty level. What questions should I ask a Philadelphia Lawyer? Are you barred in the state of Pennsylvania? Have you ever been disciplined by any bar association? How often do you handle cases like mine? What do you see as the problem with my case? What do you see as the result of this litigation? Are you familiar with the court procedures and personnel in the filing jurisdiction? How long have you been practicing in Philadelphia?